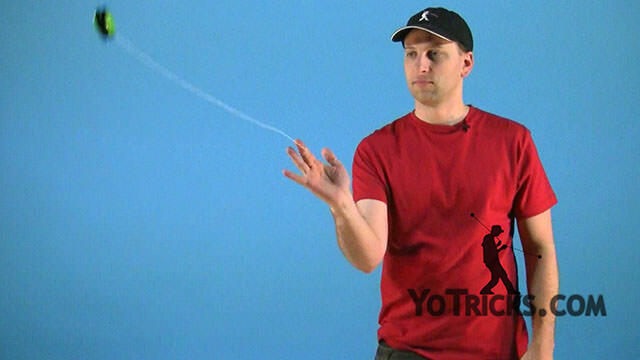 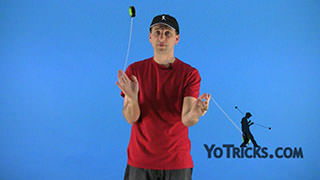 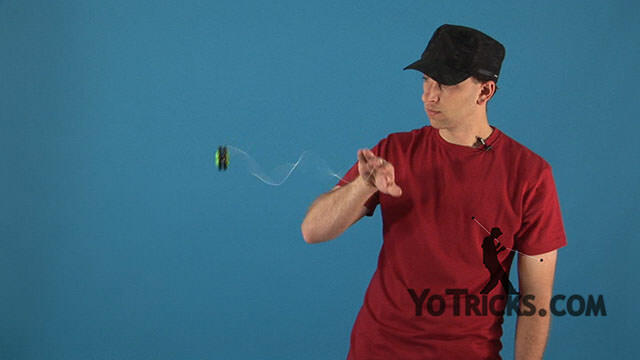 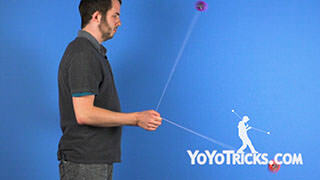 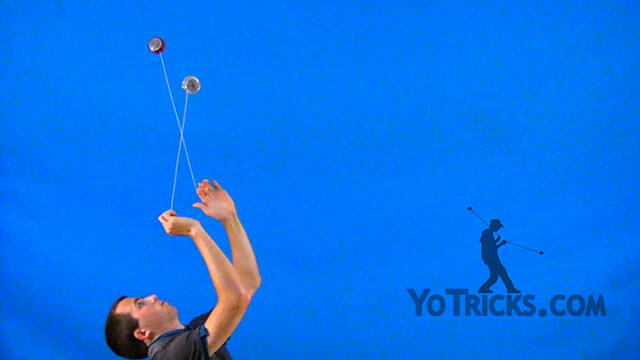 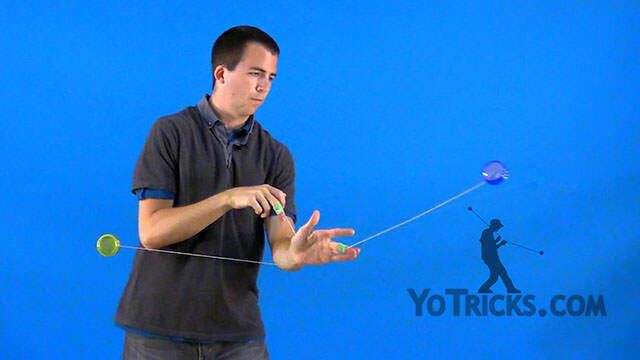 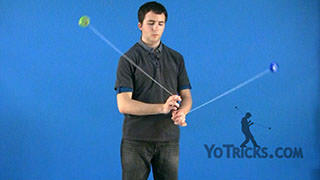 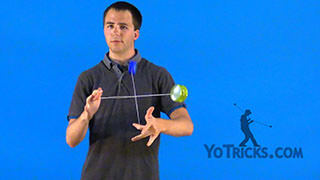 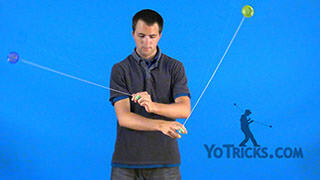 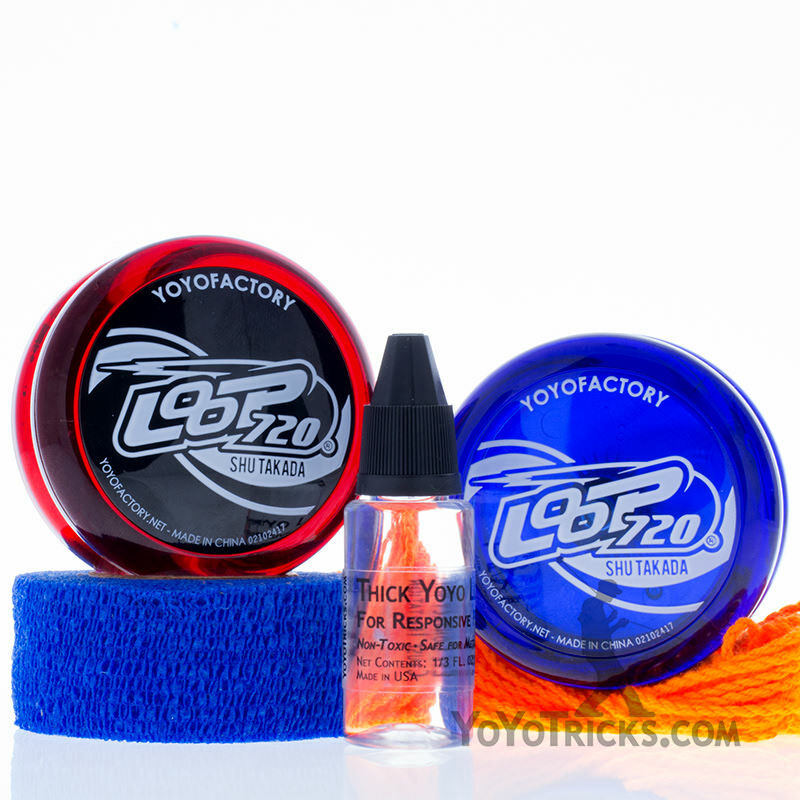 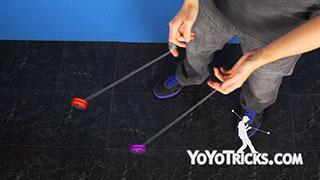 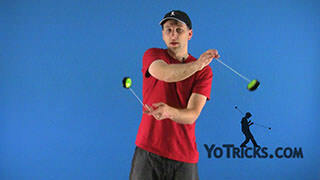 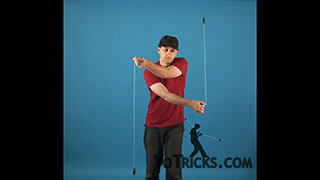 Learn how to do the 2A Two-Handed Yoyo Trick Moonlight. Moonlight Yoyo TrickThis trick is called Moonlight, and it looks like this. 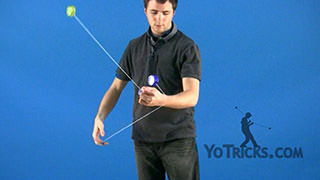 As you can see, there are many different elements in this trick: you want to know your Two-Handed Loops, you are going to want to know how to get into a Warp Drive, not only that, be able to get into a Warp Drive and turn around, you are also going to want to really learn your Vertical Punches. 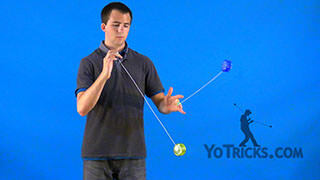 With all those elements, before starting this trick I suggest learning this transition. 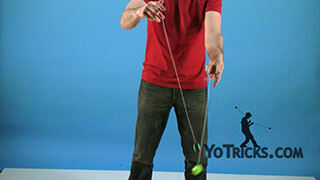 Practice your Two-Handed Loops and regenerate into Vertical Punches, like this. 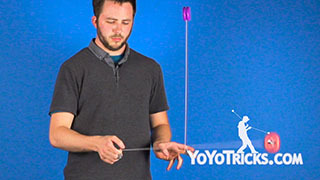 To practice this, all it is is that you are going to turn to the dominant side of your body and then when you start the Warp Drives, you are going to start the Warp Drive with your dominant hand and then follow it with the weaker hand. 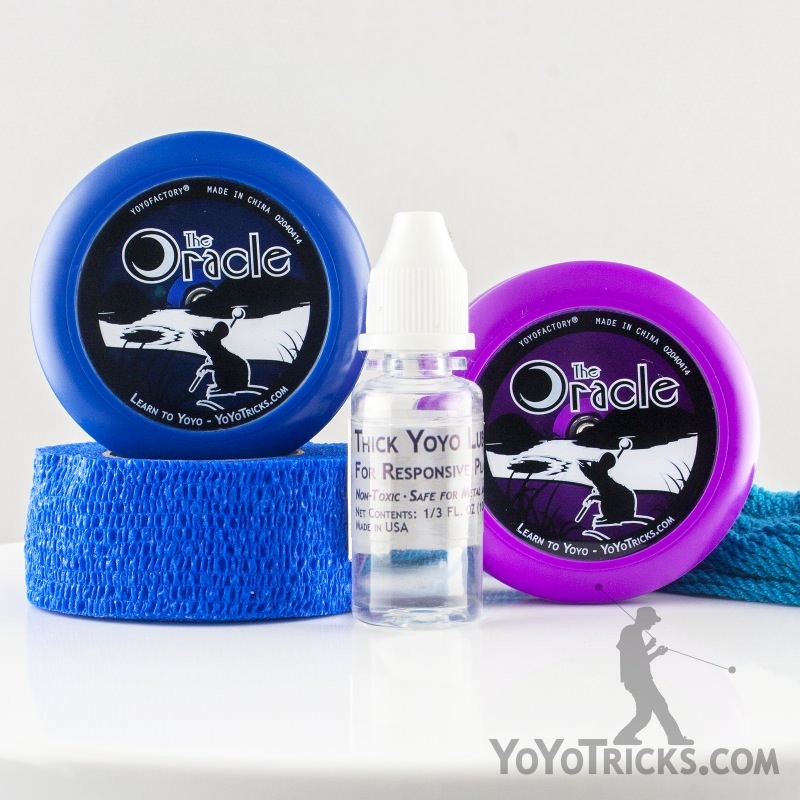 As you do that you are going to turn one-half turn, and then as you turn around you will see that I am going to keep the yoyos on the side of their body that they belong. 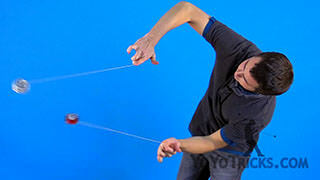 There isn’t any extra Around the Worlds happening on this side, it is just you turn around, get up into your Vertical Punches and start Punching. 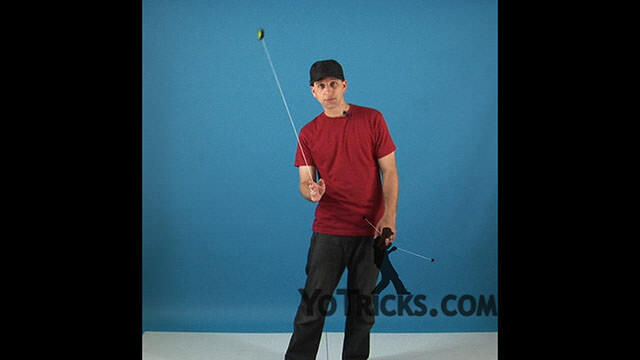 After you learn that trick, you can start working on the elements of this trick. 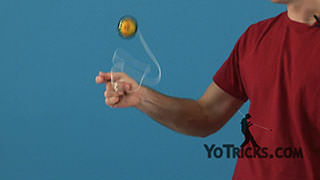 With that, in order to put them together you are going to have to work on the timing of when you regenerate the Around the World with your weaker hand. 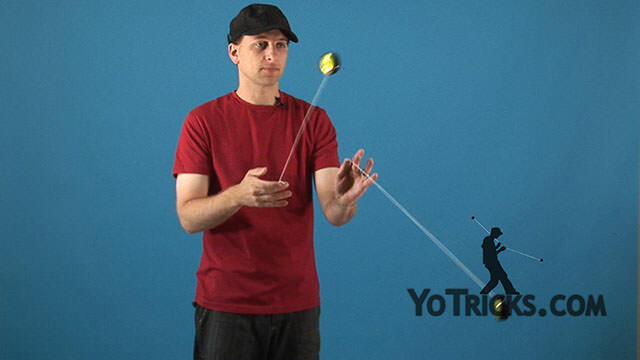 The timing of it is this: once the yoyo down here gets to the very far end of this side of your body, that is when you start the regeneration of the Around the World and then both of them will swing together at the same time over to the other side of your body. 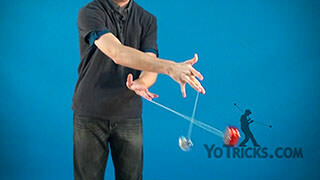 Once you have that down, and you have the other elements put together, that is Moonlight.